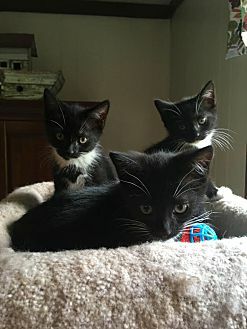 Two female tuxedo kittens left! So adorable! Chloe is very sweet & lovable. 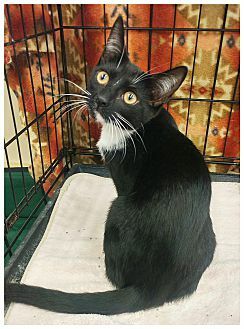 She is the more easy going one - a calm little kitty and loves to play with feathers. 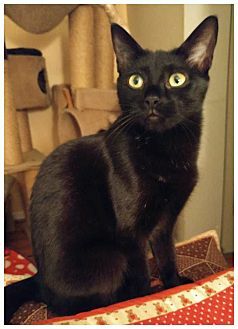 Brook is playful & enjoys running through the house chasing and playing with toys. She is very outgoing and lovable. She will sleep beside you or above your head. 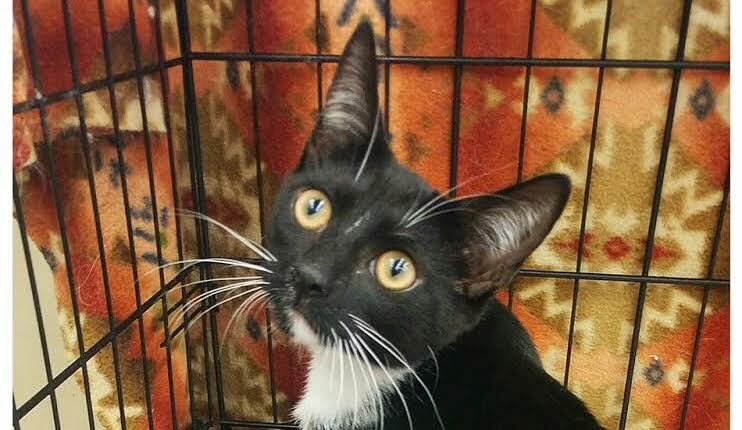 Our sister, Oreo, has been adopted! Now we want our own homes and families too! We’d love to stay together if we could and really want our forever families! Please apply online and ask my foster mom all about me.